The 2019 IEEE/ASME International Conference on Advanced Intelligent Mechatronics (AIM 2019) will be held on July 8 -12, 2019 in Hong Kong Science Park, Hong Kong, China. As a flagship conference focusing on mechatronics and intelligent systems, the AIM 2019 will bring together an international community of experts to discuss the state-of-the-art, new research results, perspectives of future developments, and innovative applications relevant to mechatronics, robotics, automation, industrial electronics, and related areas. M2D 2019 is the eighth international gathering of scientists and engineers interested in the fields of mechanics, engineering design, advanced materials, energy harvesting, reliability, quality and safety engineering, and is planned for 4-6 September, 2019 in the historic city of Bologna, Italy. Contributions in the fields of Mechanics, Materials and Design at varied length scales as well as Biomechanics and Experimental and Computational Mechanics applied to Mechanical, Aeronautical, Automotive, Biomedical, Environmental, and Nuclear Engineering are welcome. The goal is to enable engineers, researchers and scientists to exchange ideas on the following and other derivative topics. The 2019 International Conference on Industrial Engineering, Applications and Manufacturing (ICIEAM-2019) is devoted to discussion of the latest achievements in the field of industrial engineering. It will be held in Sochi, the Russian Federation, on March 25-29, 2019. The conference is organized to promote interdisciplinary discussion and the presentation of research papers, summarizing research in technical disciplines in universities, research institutes, large industrial enterprises, scientific and industrial associations of the Russian Federation, as well as foreign authors, and research results obtained on the personal initiative of the authors. 7. Theory and Applications of Dynamical Measurements. - The date of the conference are March 25-29, 2019. The aim of the Conference is to bring together researchers, industry professionals and students not only of the Italian community from the broad ranges of disciplines referring to Mechanism Science, in an intimate, collegial and stimulating environment. The second International Conference of the IFToMM ITALY association will be held at the Department of Civil and Mechanical Engineering of the University of Cassino and South Latium in Cassino, Italy. 2018 The 6th International Conference on Control, Mechatronics and Automation will be held in Tokyo, Japan on October 12-14, 2018. It is supported by International Association of Computer Science & Information Technology. The 2018 IEEE/ASME International Conference on Advanced Intelligent Mechtronics (AIM 2018) will be held on July 9-12, 2018, in Auckland, New Zealand. The AIM 2018 conference brings to gether an international community of experts to discuss the state-of-the-art, new research results, perspectives of future developments, and innovative applications relevant to mechatronics, robotics, control, automation, and related areas. Following the success of previous ICCAR conferences (2015 in Singapore, 2016 in Hong Kong, 2017 in Nagoya, Japan), we sincerely invite you to take part in 2018 The 4th International Conference on Control, Automation and Robotics (ICCAR 2018) in Auckland, New Zealand during April 20-23, 2018. ICCAR 2018 is a not-to-be-missed opportunity that distills the most current knowledge on a rapidly advancing discipline in one conference. Join key researchers and established professionals in the field of control, automation and robotics as they assess the current state-of-the-art and roadmap crucial areas for future research. It will provide a valuable opportunity for researchers ,scholars and scientists to exchange their ideas face to face We have the strong organization team, dependable reputation and wide sponsors all around the world. It will bring you an unexpected harvest. We will be thankful for the contributions to ICCAR 2018. We look forward to your participation and continued engagement at future ICCAR conferences. PEMD is a popular three-day conference that brings together hundreds of power electronics, machines and drives specialists from around the world to deliver the latest developments in the technologies and applications of electrical drives, machines and power electronic systems. This is your chance to present your latest research results, innovative application or operational advances to the 450 strong audience of expert industrial representatives and academia. Take advantage of a presentation slot in the conference programme and receive significant and unparalleled publication opportunities. 2018 4th International Conference on Mechatronics and Robotics Engineering will be held in University of Valenciennes, Valenciennes, France on February 7-11, 2018. The aim of ICMRE 2018 is to povide a platform for researchers, engineers, academics as well as industry professionals from all over the world to present their research results and development activities in the area of Mechatronics and Robotics Engineering. This conference provides opportunities for delegates to exchange new ideas and research findings in a face to face environment, to establish business or research relationships and to find global partners for future collaboration. 2018 The 7th International Conference on Manufacturing Engineering and Process (ICMEP 2018) is a platform for researchers, engineers, academicians as well as industrial professionals from all over the world to present their research results and development activities in Manufacturing Engineering and Process.This conference provides opportunities for the delegates to exchange new ideas and application experiences face to face, to establish business or research relations and to find global partners for future collaboration. It will take place Barcelona, Spain, February 5-7, 2018. We will be thankful for the contributions to ICMEP 2018. We look forward to your participation and continued engagement. 2017 Third International Conference on Mechanical and Aeronautical Engineering (ICMAE 2017) will take place in Dubai, UAE, December 13-16, 2017. ICMAE 2017 aims at the crossroads between scientists, researchers, decision makers, practitioners and students from all the diverse domains that Mechanical and Aeronautical Engineering, Robotics and Automation, Intelligent Systems, Aeroelasticity, Aerodynamics and Fluid Mechanics, Flight Simulation and Mechanics, Dynamics and Control. This conference will provide a remarkable opportunity for the academic and industrial communities to address new challenges, share solutions and discuss future research directions. The agenda will include keynote speeches, plenary speeches, and invited/special sessions. Contributions are expected from academia, industry, and government institutions and agencies. We sincerely welcome our colleagues worldwide to join us for this conference in Dubai in December 13-16, 2017! Welcome to the official website of 2017 International Conference on Advanced Manufacturing and Design Engineering (CAMDE 2017). CAMDE 2017 will be held in Ho Chi Minh City, Vietnam from November 8-11, 2017. This conference is aimed at providing a platform for all researchers and engineers to share ideas, highly developed skills and successful practices to others. The conference will be last for 4 days with the reception to be held in the first day to meet and mingle with conference chairs, session chairs and other participants. We would like to invite you to join us in this important event and share your recent advance development and research finding in Advanced Manufacturing and Design Engineering to all attendees. Besides, it is also a good opportunity for you and your family to enjoy the culture and view in Ho Chi Minh City. We're looking forward to seeing you in CAMDE 2017. It is our pleasure to invite you to attend the 9th International Congress on Precision Machining (ICPM 2017), organized by the National Technical University of Athens, which will be held in Athens, the capital city of Greece, in September 2017. The International Congress on Precision Machining is a biennial event, which is developing into a major international happening with a growing number of delegates from around the globe. Scientists and engineers use this platform to share their research findings, exchange ideas, discover novel opportunities, meet with colleagues or acquaint with new friends from abroad, broaden their knowledge and bridge the gap between academia and industry. Papers on various topics are welcome in the field of precision machining. The different points of view, which will be shared by the academic and industrial practitioners, will contribute significantly to the developments in this area of technology, which is of great importance in contemporary industry. The topics concern a broad range of issues that are of interest to researchers, manufacturers, businessmen and consumers of engineering materials and their products. However, we hope that the presented topics will contribute to the collaboration of the participants in many aspects, as well as to the enhancement of the contacts between education, science and business, which will be of mutual benefit. The organizers are proud to be hosting ICPM 2017 for the first time and are looking forward to welcoming you and meeting you in Greece. Following the success of ICCSSE 2014 in Yantai, China during December 29-30,2014, ICCSSE 2016 in Singapore during July 27-29, ICCSSE 2017 will take place at China Agricultural University-Beijing,China. The conference is Co-sponsored by China Agricultural University, China, National Taiwan University, Taiwan, University of Malaya, Malaysia and Huazhong University of Science and Technology, China. Control Science and Systems Engineering are entering the second golden phase. These newchallenges bring with it new research questions resulting in the need tostimulate the rapid awareness of this very important research field,especially among the young researchers.ICCSSE14 was a wonderful opportunity, the support that we received and the enthusiasm which was witnessed has been truly beyond our expectations. Plan now to be part of this exceptional conference, as an attendee, event sponsor, or exhibitor. ICCSSE 2017 is where you will meet and network with energy leaders, business innovators, researchers, academics and policy makers from across the globe. ACIRS 2017 provides a forum for scientific advances in the theory and practice of Intelligent Robot Systems. It is a highly selective, single-track meeting that will be soliciting submissions presenting significant, original, and previously unpublished research. ACIRS 2017 aims to be one of the leading international conferences in the Asia Pacific region, and will provide an exciting environment for researchers to present and discuss the latest technologies, algorithms, system architectures, and applications. Among the 4,000 attendees from 75+ countries are mechanical engineers in advanced manufacturing, aerospace, advanced energy, fluids engineering, heat transfer, design engineering, materials, energy production, conservation and recovery, applied mechanics, power, rail transportation, nanotechnology, bioengineering, internal combustion engines, environmental engineering, and more. Following the success of ICCSSE 2014 in Yantai, China during December 29-30,2014, ICCSSE 2016 returns to the national and international stage. Sponsored by Shandong Institute of Business and Technology, Shandong University and China University of Geosciences, Co-sponsored by York University,Canada, DongHua University, China, Beijing Jiaotong University and China University of Mining and Technology, The 2nd International Conference on Control Science and Systems Engineering will be held at Singapore, during July 27-29. Control Science and Systems Engineering are entering the second golden phase. These newchallenges bring with it new research questions resulting in the need tostimulate the rapid awareness of this very important research field,especially among the young researchers.ICCSSE14 was a wonderful opportunity, the support that we received and the enthusiasm which was witnessed has been truly beyond our expectations. Plan now to be part of this exceptional conference, as an attendee, event sponsor, or exhibitor. ICCSSE 2016 is where you will meet and network with energy leaders, business innovators, researchers, academics and policy makers from across the globe. 2016 International Conference on Automation, Control and Robotics Engineering is organized by Hong Kong Society of Mechanical Engineers, technically supported by Kyushu Institute of Technology. CACRE 2016 will be held in conjunction with 2016 International Conference on Artificial Intelligence and Robotics ( ICAIR 2016). 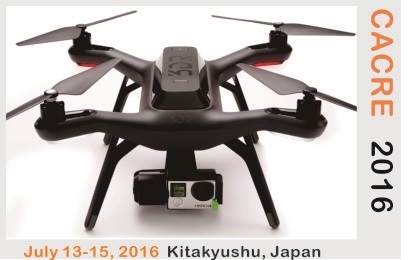 The conference will be held in Kitakyushu, Japan from 13 to 15 July, 2016. CACRE 2016 will afford delegates unparalleled opportunities to interact and network with qualified professionals from throughout the world. We sincerely invite you and your colleagues immediately mark this event on your calendar and make your plans to Japan. 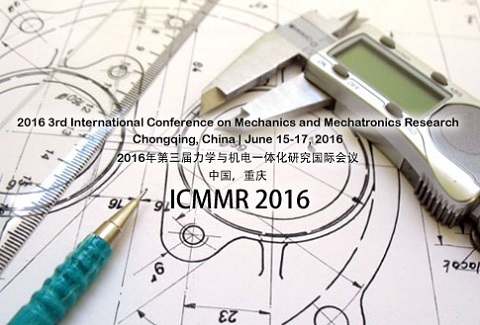 2016 3rd International Conference on Mechanics and Mechatronics Research (ICMMR 2016) will be held in Chongqing, China during June 15-17, 2016. ICMMR 2016 is co-sponsored by China University of Mining and Technology, China; Beijing Jiaotong University, China; Donghua University, China; Hefei University of Technology, China and York University, Canada. The idea of the conference is for the scientists, scholars, engineers and students from the Universities all around the world and the industry to present ongoing research activities, and hence to foster research relations between the Universities and the industry. The IET is pleased to invite Machines readers to take part in the programme of one of the world’s most important power electronics conferences. PEMD 2016 will bring together hundreds of power electronics, machines and drives specialists from around the globe to discuss the latest developments in the technologies and applications of electrical drives, machines and power electronic systems. The last conference, held in 2014, attracted over 400 engineers from 40 countries, making PEMD the ideal opportunity to share your latest research and results with the international industry. Technical papers describing research results are solicited for the 2013 IDETC/CIE which will also include plenary sessions, keynote lectures, and tutorials on topics related to engineering design and computers in engineering. These conferences provide a unique forum for the sharing of recent research results as well as networking with friends and colleagues. Industry participation is particularly encouraged so that the conferences may provide opportunities for fruitful exchanges between the research and industrial communities. 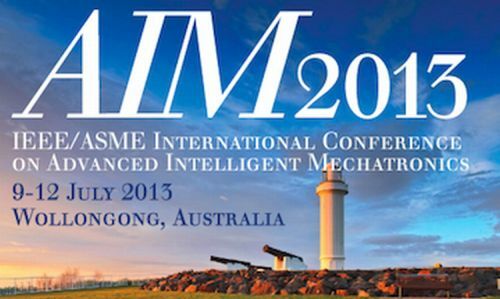 The 2013 IEEE/ASME International Conference on Advanced Intelligent Mechatronics will be held on July 9-12, 2013 in Wollongong. AIM 2013 conference brings together an international community of experts to discuss the state-of-the-art, new research results, perspectives of future developments, and innovative applications relevant to mechatronics, robotics, control, automation, and related areas. The theme of the conference is “Mechatronics for Human Wellbeing”, which emphasises the significance of Mechatronics in enhancing the quality of life for society. AIM 2013 conference invites submissions of high quality research papers describing original work on the following topics, but not limited to: Actuators, Automotive Systems, Bioengineering, Data Storage Systems, Electronic Packaging, Fault Diagnosis, Human-Machine Interfaces, Industry Applications, Information Technology, Intelligent Systems, Machine Vision, Manufacturing, Micro-Electro-Mechanical Systems, Micro/Nano Technology, Modeling and Design, Motion Vibration and Noise Control, Neural and Fuzzy Control, Opto-Electronic Systems, Prototyping, Real-Time and Hardware-in-the-Loop Simulation, Robotics, Sensors, System Integration, Transportation Systems, Smart Materials and Structures, Energy Harvesting and other frontier fields of mechatronics. The 2013 American Control Conference will be held Monday through Wednesday, June 17 - 19, at the Renaissance Washington, DC Downtown Hotel, which is centrally located in Washington, DC, within 7 blocks of the White House, the US Capitol building, the National Mall, and the Smithsonian Institution. The hotel is also within 2 blocks of an extensive restaurant district. The ACC is the annual conference of the American Automatic Control Council, the U.S. national member organization of the International Federation for Automatic Control. National and international society cosponsors of ACC include American Institute of Aeronautics and Astronautics, American Institute of Chemical Engineers, American Society of Civil Engineers, American Society of Mechanical Engineers, IEEE Control Systems Society, International Society of Automation, Society for Modeling & Simulation International, and Society for Industrial & Applied Mathematics . The ACC is internationally recognized as a premier scientific and engineering conference dedicated to the advancement of control theory and practice. The ACC brings together an international community of researchers and practitioners to discuss the latest findings in control research and practice. The 2013 ACC will feature several kinds of presentations including contributed and invited papers, invited sessions, tutorial sessions, and special sessions along with workshops and exhibits. The conference will also feature theme tracks in sustainability, societal challenges for control, and smart healthcare systems. In addition to the high-quality technical program that the 2013 ACC Organizing Committee is working hard to ensure, the traditional conference banquet will be transformed to an evening at the National Air and Space Museum (NASM) on June 18, 2013. ACC attendees and their guests will have exclusive use of the museum for the evening, including free screenings of shows in NASM's IMAX Theater and Planetarium. The ACC 2013 Operating Committee invites the worldwide participation of all those interested in the theory and practice of control systems. The 10th IEEE International Conference on Control & Automation (IEEE ICCA 2013) will be held Wednesday through Friday, June 12-14, 2013, in Hangzhou, China. The conference is jointly organized by IEEE Control Systems Chapter, Singapore, State Key Lab. of Industrial Process Control, China, National Engineering Research Centre of Industrial Automation, China, and IEEE Control Systems Chapter, Nanjing, China. It is technically sponsored by IEEE Control Systems Society, the Technical Committee of Process Control of Chinese Association of Automation, and Zhejiang University. It aims to create a forum for scientists and practicing engineers throughout the world to present the latest research findings and ideas in the areas of control and automation. HRI 2013 is the 8th Annual Conference for basic and applied human-robot interaction research. Scientists from across the world submit their best work and attend HRI to hear the latest theories, data, and videos from the world’s best HRI researchers. Each year, the HRI conference highlights a particular area. HRI 2013 is devoted to exploring the theme of Holistic Human-Robot development. Robotic solutions are increasingly applied to real world problems such as our aging society, renewable energy, climate control, emergency response, education and exploration. These societal problems require a holistic approach to the design and development of robots that meet human needs, address technical challenges, and foster acceptance in everyday settings. HRI is a single-track, highly selective annual international conference that seeks to showcase the very best interdisciplinary and multidisciplinary research in human-robot interaction with roots in social psychology, cognitive science, HCI, human factors, artificial intelligence, robotics, organizational behavior, anthropology and many more, and we invite broad participation. The Conference focuses on the development and application of prognostics and health management technologies, and shows how practical technologies can be integrated into a platform or system. The MFPT Society originated in 1967 under the leadership and sponsorship of the Office of Naval Research as the Mechanical Failures Prevention Group (MFPG). The MFPG was formed primarily to provide a mechanism for effective interchange of technical information among segments of the scientific and engineering communities in order to gain a better understanding of the processes of mechanical failures. The anticipated result was to reduce the incidence of mechanical failures by improving design methodology, to devise methods of accurately predicting mechanical failures and to apply the increased knowledge of the field to current problems. In this way the MFPT Society acts as a focal point for technological developments that contribute to mechanical failure reduction or prevention.